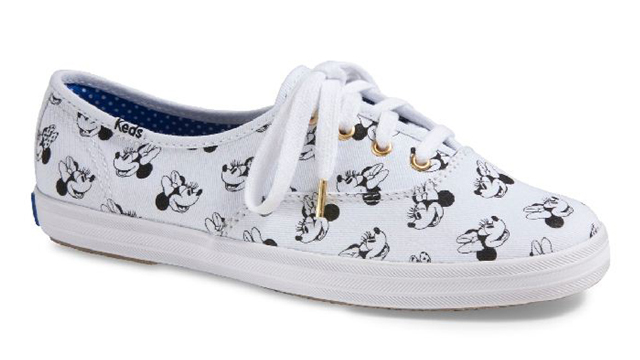 Arts and crafts lovers, prepare to drool. (SPOT.ph) Feeling crafty? It's not too late to join the arts and crafts craze! Nothing's better than creating something unique and made with lots of love for the special people in your life (or yourself). Not sure where to begin? 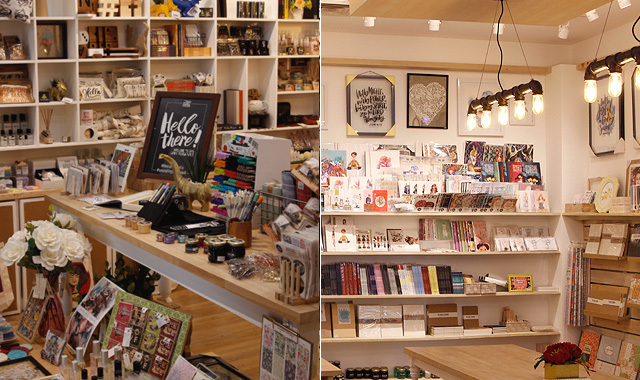 We round up 10 cool stores that will cater to your crafting needs and inspire you to get creative! It’s only been over a year since Common Room transformed #325 Dela Rosa Street in Katipunan into a beautiful, artsy haven. Back then, the store was home to 30 crafters and makers. Right now, they have exactly 79 partners that fill their shelves with pretty things! 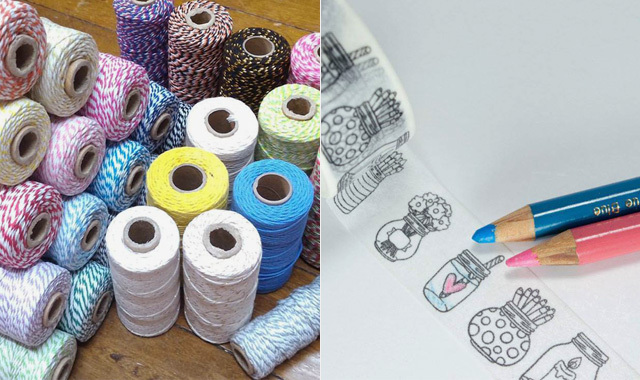 Here, you will find everything you need when you want to get crafty...inspiration, included. Common Room is at #325 Dela Rosa Street, Katipunan Avenue, Quezon City. What started as an online specialty store for craft supplies is now a one-stop shop for everything arts and crafts. 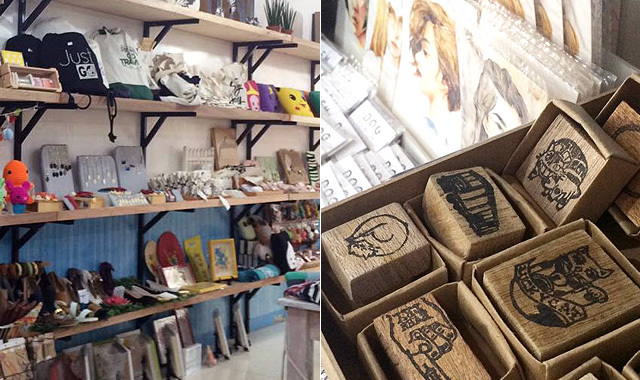 In September, The Craft Central found a physical home on the second floor of Greenbelt 5, opening with over 70 partner brands and crafters. 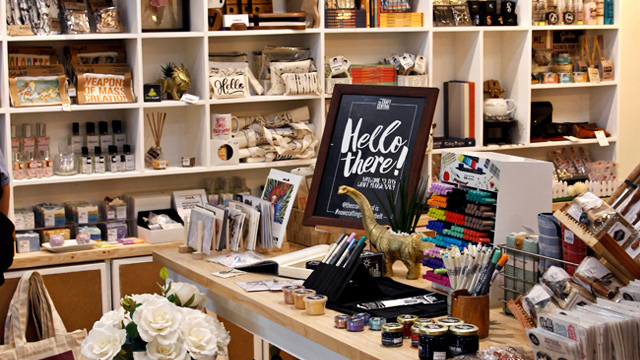 You can score everything from calligraphy supplies to paper products and other crafty things. The store even features a workshop space so you can get crafty on the spot or bond with other makers. 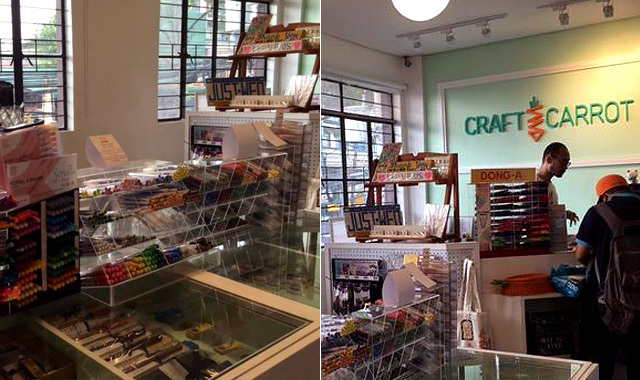 The Craft Central is at 2/F Greenbelt 5, Makati City. 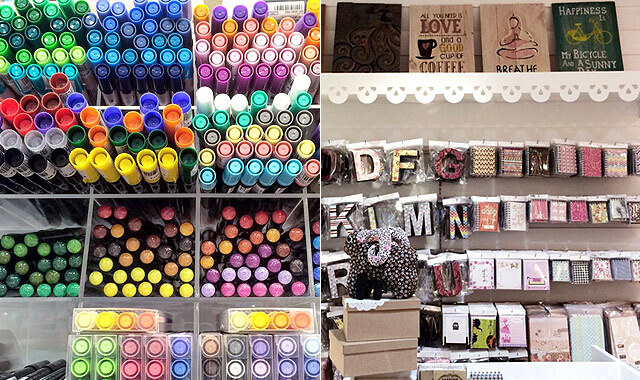 The arts and crafts craze has invaded the heart of Manila. Hello MNL opened its doors in September and the space is now a place where over 50 independent brands and homegrown talents get to showcase their skills in their craft, inspiring others to support local and get creative. Hello MNL is at 864 Moret Street, Manila. Former neighbor of Common Room, Hey Kessy was once a little shop along Esteban Abada but it's all grown-up now, with a bigger and brighter store in UP Town Center. The store carries all the arts and crafts materials you need, whether it’s for calligraphy or painting, papercutting or sun printing, et cetera. There’s even a special section dedicated for crafters and makers to showcase their goodies, making it the perfect place to find awesome gift items! Hey Kessy is at 2/F Urban Turf, UP Town Center, Katipunan, Quezon City. 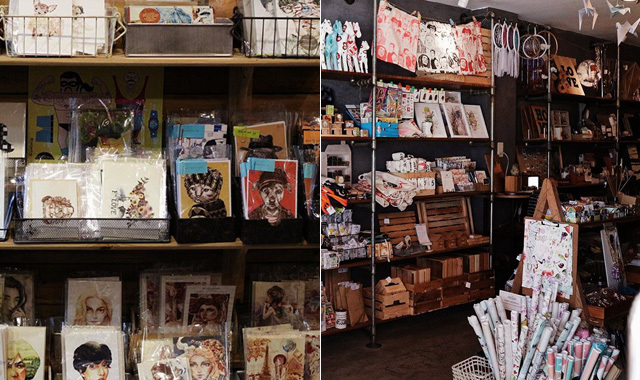 Amidst the bustling streets of Kapitolyo is an arts and crafts mecca that houses over 1,500 high-quality, hard-to-find art products. Craft Carrot started out as a specialty arts and crafts online store but now they have a physical store, making their goodies more accessible to those who want to create. They carry brands like Kuretake, Sakura, Daniel Smith, Craftdoold, Dr. Ph. Martin, Tsukineko, among many others. 19 Easy Capitol Drive corner San Rafael Street, Kapitolyo, Pasig City. A sanctuary of pretty journals, planners, notebooks, and writing instruments, Scribe can also be your go-to place for everything calligraphy-related! They sell fountain pens, brush pens, ink, nibs, nib holders, and more. You can also score hard-to-find coloring materials! 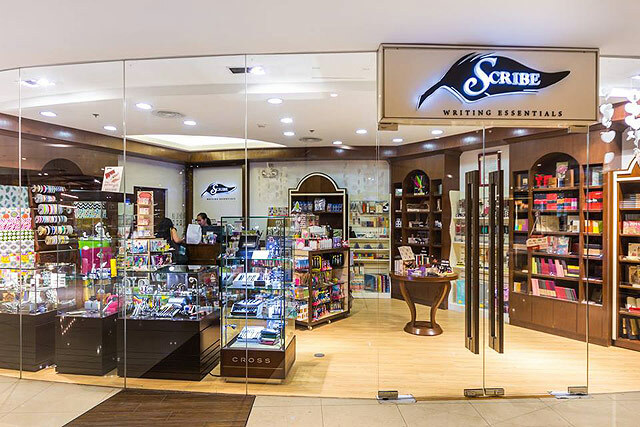 Scribe has branches at 3/F Eastwood Mall, Quezon City; 2/F Glorietta 5, Makati City; and LG/F East Wing, Shangri-La Plaza Mall, Mandaluyong City. The easiest way to make your planner look like a work of art is by making it colorful. 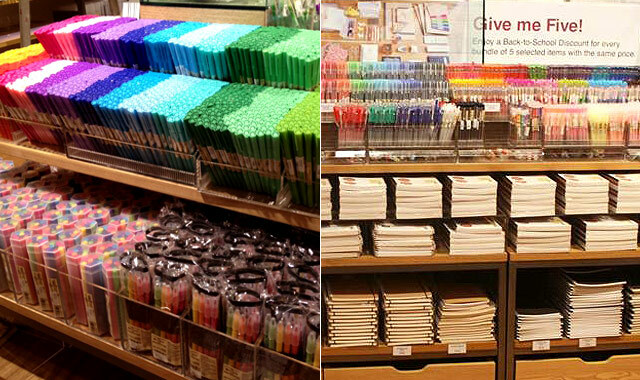 MUJI has a glorious counter filled with colored pens, pencils, markers, and crayons that will surely turn you into the heart-eyed emoji! Not only will they add color to your busy planner, they follow MUJI’s minimalist aesthetic, making the materials perfect for artsy flatlays. 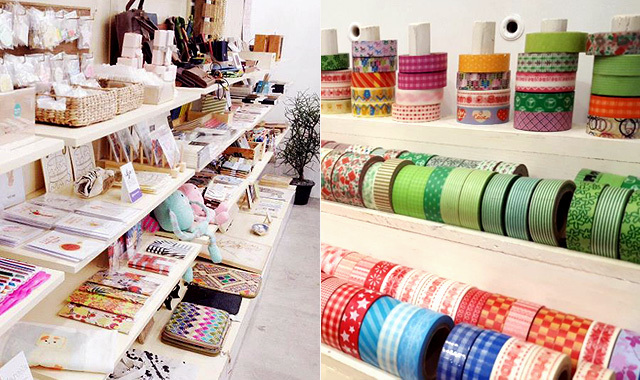 You can also find origami paper and other paper products in the store! From paper products to home décor, party needs to art tools, Invitation House probably has what you need. They hold occasional workshops in case you’re feeling crafty and they sell quality artist tools from popular brands lik Zig and Kuretake. 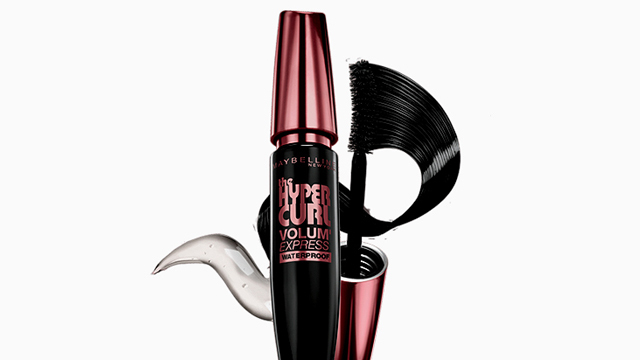 They even partner with a few homegrown brands. You can also have personalized gift wrappers made for the upcoming holidays! Invitation House has branches at Greenbelt 5, Glorietta 2, Alabang Town Center, SM Megamall, and UP Town Center. 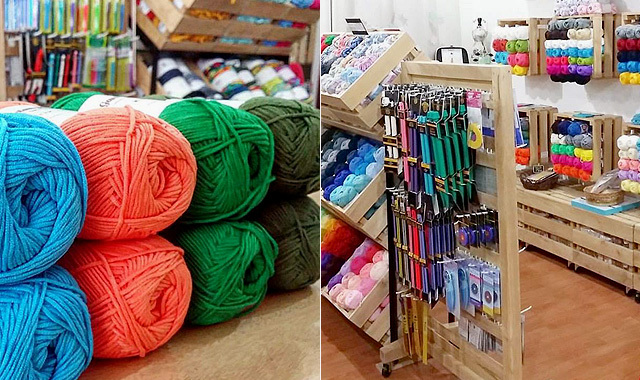 If you’re interested in crochet and knitting, Gantsilyu Guru Selections has everything you need to get you started. They have a wide selection of yarn and needles at reasonable prices. They also carry DIY kits perfect for beginners! Gantsilyo Guru Selections is at Unit 306, Emerald Place, 604 Shaw Boulevard, Kapitolyo, Pasig City. Bee Happy is mostly an online store but they become The Real Thing on Saturdays...probably because you might never want to leave if they're open seven days a week! Here you can shop everything arts and crafts—scrapbooking materials, DIY invitations, ink, paint, powder, cutters, punchers, yarn, stationery, washi tapes, and other crafting supplies and tools. It's every arts and crafts lover's paradise! Bee Happy is at 116 Magsaysay 6th Street between 5th and 6th Avenue, Caloocan City.